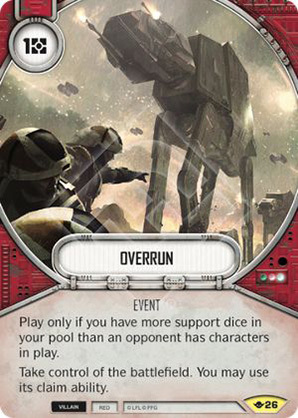 Play only if you have more support dice in your pool than an opponent has characters in play. Take control of the battlefield. You may use its claim ability. Way of the Force #26.